Today the flash light was due and I finished just in time. My decoration is crazy and definitely not practical but I like it. I sprinkled gems on it, glue on pipe cleaner fuzz, made clouds, and colored it with yellow and silver sharpies. I don’t know is it will survive under water but I think it will work. What I am worried about it where the hole of the LED Light is becuase it has become a little lose which allow water to slip in there. Otherwise I’m and very proud. I think this project was the most fun and this was definitely the best quarter so far! II finished cutting all of my pieces for my pipes and drilling holes for the switch and LED Light. Drilling a hole is much easier tan I thought it would be. I just had to lock in my pipe and turn the drill on. The drill is very hot though becuase of how fast it’s spoining. I still need to solder my switch and connect my wires and battery. I expect to finish it before Friday but I’m a little bit of a neat freak so it might be hard to get it down in an fast and orderly manner. I’m a little scared for how my flashlight will turn out becuase it has to be small and water tight to be transported almost anywhere. We have started to create the physical flashlight. I am a little behind because I haven’t finished my diagram yet. I still have to write the measurements and materials I need so I’m not that far behind. Making the diagram takes very long for me because I like to make my lines very thick and straight and my flashlight is a little too big. We have to fit them into a small box to make it portable but it just fits with a little squeezing so I’ll try to make it really tight which can help water tight security I hope my flashlight works!!!!!!!! We have started to make water proof flashlights! We started to make them because of the soccer team that go trapped in a cave. They had barely any food or water. They also probably needed water proof flashlights. Which is why we are making them. So far I have gotten to the part of drawing out diagram for our waterproof flashlight. It also has to be able to fit into a 7 by 9 inch box for it to be transported with little effort. I have fit it in the box by a centimeter. Tomorrow if we have finished our diagram and it has been approved by Mr.Calvert we can start cutting our pieces to fit the together and cut a flashlight hole. The diagram part of this project is not very fun but based on all the other students that have had this quarterly before me, this is one of the best projects, so I am really excited!!! We made switches to help a light bulb turn on. We learned that many metals conduct electricity. We made contraptions where tin foil touches tin foil conected to alligator clips connected to a Light bulb and battery to make it turn on. We had to make three switches. Then we had to use those switches for a card game. Click Here: (To See What Our Project Looked Like) This one is much more complicated!!! One switch I made was made out of small pieces of cardboard, as popsicle stick, a close-pin, and tin-foil. I glued the pieces together so the to wood piece of the close pin is covered in tinfoil. The tip of the popsicle stick it right u bone the close-pin andit is also covered in tin-foil. When you open the close pin the tin-foil touches making the light bulb turn on. Another one I made was so simple a 5 year old can make it. I took to squares of cardboard, tinfoil, and pom-poms (for decoration). I glued the tin-foil to each separate piece of cardboard and then glued the tin-foil covered cardboard together then pom-poms aroundthe edges. You just have to punch them together and BAM! LIGHT BULB!!! My third one was a little more complicated you have to punch down a piece of tin-foil to another piece of tin-foil. This one took longer than the other even though it sounds very simple. In class we have created a solder person. Which means we bend brass around in the form of a head and legs than we attach the arms separately with solder. I have already made my solder person. To do this project you need adult supervision. Click on This Link to See What the Clips Look Like: They are used to hold your brass parts. When it gets heated up it is so hot it will burn you so you use the clips to keep your hands from getting burned. 1. First get your pencil and brass cut your brass with your wire cutter then cut another piece of brass to a length you would like the arms for you’re solder person. The length of the brass for your body should be from your pointer finger to your wrist. 2. Then take your body piece and wrap it around you pencil once so that the wire just cross. 3. Make the ends and 90º or and “L” shape. Take the longer end of the wire and use pliers to wrap it around the other end tightly. Wrap it 3 times then stop. 4. Take you’re person off the pencil and adjust it in a way to your liking without undoing twists or shapes. Make sure the legs are a little long to bend it for feet so it can stand. 5. Put your person in a hand and the arms in another adjust the hands so the pieces are touching eachother. 6. Take you’re soldering iron and clean it will the brass wool then press it to the arms and body. WARNING: The iron is EXTREMELY hot and it will burn you very badly if you touch it and it can burn off your hair. Heat it for 10-15 seconds then take your solder and press it to the heated arms and body while the soldering iron is still on it. 7. Put your soldering iron away and let it dry for a few seconds before touching anything. Take the damp sponge and wipe the solder, brass, aligator clips to prevent yourself from being burned. 8. Great Job!!! 🙂 You have successfully completed a solder person. Now you can decorate it how ever you like. Did you know self driving cars were invented. They can be beneficial and hazardous. Self driving cars, can switch lanes, calculate if there is enough space for a car to move anywhere, and park. They are very helpful for people who might not be the best of drivers. They can also help people who are blind. It will be easier for them to get around and with self driving cars they don’t have to see the road to drive and be mobile. They can also help with the unlikely event that the driver falls asleep at the wheel. Self driving cars are still being tested but we might have them by the time my generation starts to drive. We might not even needs licenses if we have self driving cars. At the same time what happens if the car malfunctions or take over the car and there is no way to manually take over. There can be fatal situations and there already have. 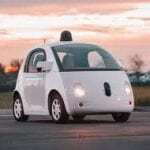 Self driving cars are somewhere in the possibly near future, can we count on them to improve driving? Today in class we learned about atoms. Atoms are so small that if you made a grapefruit the size of the world an atom would only be the size of a blueberry. They are made up of protons, neutrons, and electrons. Protons have a positive charge. Neutrons have no charge. Electrons have a negative charge. 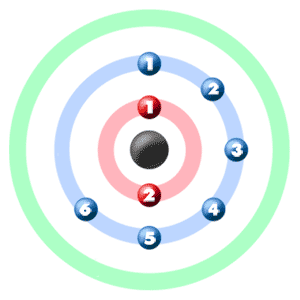 Neutrons and protons make up the center of an atom. It’s called the nucleus. Neutrons are there to stop the protons from touching each other. Electrons are always moving around in the atom so they don’t touch. Different elements have different amounts of protons, neutrons, and electrons. The way to tell how many protons are in an element is to simply look to the top left of the element. 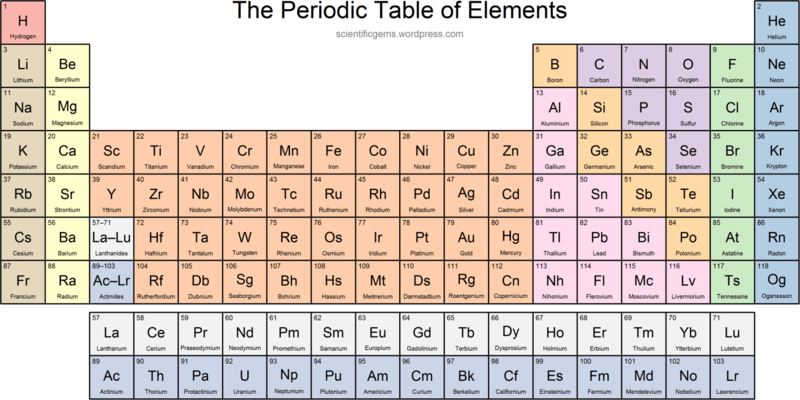 In the oxygen element has 8 protons because in the top left it has the number eight which also means that it is the 8th numbber on the periodic table. To find the amount of neutrons you have subtract the atomic number from the atomic weight. If we were trying to find the amount of neutrons in the oxygen element then the atomic number is 8 and the atomic weight is 15.9994. Round the atomic weight and then subtract. So it would be 16-8=8. The amount of neutrons in the oxygen element in every atom is 8. To find the number of electrons you just have to know the number of protons. 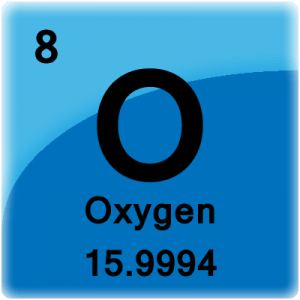 The oxygen element has 8 protons so it has 8 electrons. Electrons usually have the same number as protons to stay neutral. The oxygen element just happens to have the same number of protons, neutrons, and electrons for each oxygen atom but other elements are different. We haven’t started to work with tools but on Human Rights Day, a lady named Alexandra Mor came to our class. She is a jewelry designer who works with Tagua Nuts. Tagua Nuts are like ivory (the tusks of elephants). She works on saving the elephants. People kill elephants for their ivory to make jewelry and sell it for a high price. Tagua Nuts are almost exactly like ivory so instead of killing the elephants you can use Tagua Nuts. When she came we had to bring random things from around our house to make jewelry out of it. Hey, I’m back and I have some good news, I made it to 6th grade! It is the third quarter which means I have tech as my quarterly. I think this quarterly is going to be very entertaining because I love hands on work. So far in technology we have learned about safety in our workspace. We also have learned that persistence pays off. Thomas Edison tried thousands of ways to create the light bulb but it didn’t work. Until it did!